Over the weekend Survation released two online polls to mark the first anniversary of the Scottish Independence Referendum. The first poll, on behalf of the Scottish Daily Mail, showed that one year on Scots would still vote ‘No’ if they were asked whether Scotland should be an independent country. However, the gap now appears much narrower than the final result a year ago, and these results are well within the margin of error for a poll of this sample size. 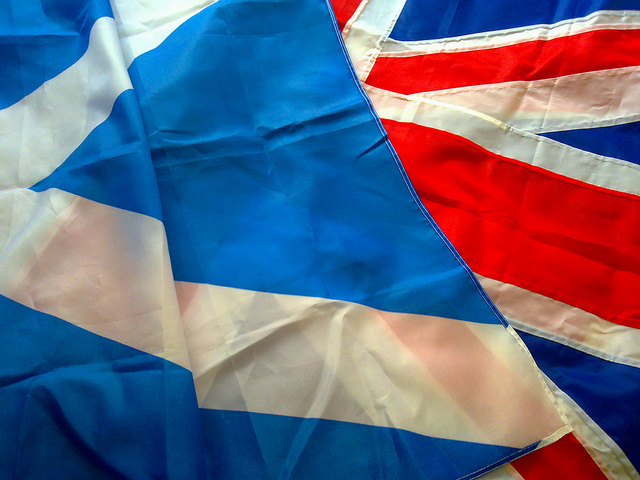 Further, Scots appear split over whether the promise of another independence referendum in the SNP’s Holyrood election manifesto next year would make them more or less likely to vote for the party. With just under a third (31%) of Scots saying that they are more likely to vote SNP with such a promise, a third said that they would be less likely to vote SNP in this case, indicating that the promise of another referendum would not necessarily improve the SNP’s electoral chances. Three-quarters of Scots indicated that their vote in last year’s referendum would not have changed if Nicola Sturgeon had been the leader of the SNP instead of Alex Salmond. Whilst more Scots said that they would have been more likely to vote for independence if Nicola Sturgeon was SNP leader than those who would have been less likely if this was the case (16% and 6% respectively), it would have been very unlikely to change the overall outcome. Away from the anniversary of the independence referendum, a majority of Scots (51%) said that they were satisfied with the Scottish government’s handling of health policy, whilst 46% said that they were satisfied with the Scottish government’s handling of education policy. However, more Scots said that they were dissatisfied with Holyrood’s handling of policing (37%) than were satisfied (32%). A majority of Scots (55%) said that they would be no more or less likely to vote Labour in next year’s Holyrood election if Jeremy Corbyn was elected leader of the Labour Party (fieldwork was conducted before Corbyn was elected Labour Leader on Saturday). Just over one in ten (11%) said that Corbyn as leader would make them more likely to vote Labour, with 18% saying that they would be less likely to vote Labour if this was the case. Finally, two in five Scots believe that Angela Merkel has done better than David Cameron by accepting more refugees into Germany than Britain. A third believe that David Cameron has done better on this issue, whilst a quarter didn’t know. Full tables for this poll can be found here. The second poll, on behalf of the Sunday Post, showed that nearly 50% of Scots believe that holding the referendum a year ago was good for Scotland. This compares to just over a quarter (27%) who think that holding the referendum was bad for Scotland. The poll also found that nearly a quarter of Scots (23%) fell out with a friend or relative over the issue of independence during the referendum campaign, with a further 27% of those saying that their relationship with that friend or relative had been damaged permanently due to the referendum campaign. To find out more about Survation’s services, and how you can conduct telephone, face to face, focus group or online poll for your research needs, please visit our services page.